The police immediately arrested the Community leader and a former Labour Party, Delta State House of Assembly Candidate in 2011 election, when he failed to provide the licence. Chief Ayomanor was alleged to have fainted and was quickly rushed to the hospital by the police where he suddenly died last night. Chief Ayomanor recently decamped from the All Progressives Congress, APC, to the Peoples Democratic Party, PDP. Contacted, the Delta State Police Public Relations Officer, DSP, Andrew Anieamaka confirmed the report saying, “police found a fully loaded pump action gun in his car and when the police demanded for the licence, he could not provide it. “The police then took him to the police station in Sapele when he fainted, he was then rushed to hospital where he died”. In a swift response to the police claims that a gun was found in his car, a brother to the deceased, Chief Michael Okor denied the allegations that a gun was found in the car of Chief Ayomanor. Chief Okor described the police claims as fabricated. “That was not true, you know the police like fabricating stories. Chief Ayomanor is a very peace loving man. What would he need a gun for?” He asked. 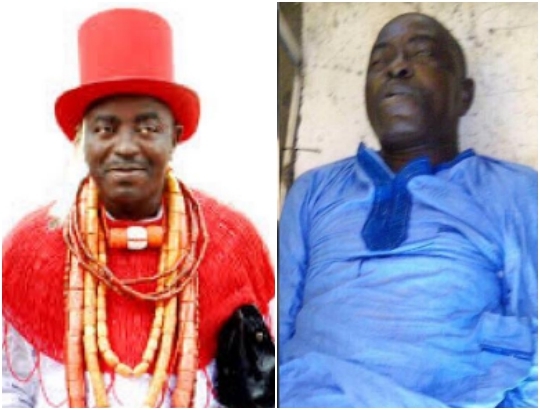 However reactions have continued to trail the death of the Sapele born High Chief and political leader as some of his supporters had vowed to avenge his death if an autopsy that was going to be carried on Chief Ayomanor stated otherwise. In a bid to forestall any breakdown of law and order, security men were seen patrolling the town in large numbers.